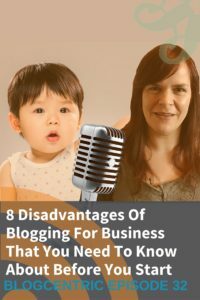 I’m always talking about how great blogging is for your business but what are the disadvantages? If you know what they are before you start you can plan to avoid them. If I could write a letter to myself the day I started blogging, I’d commend myself on taking such a big step but I’d also tell the younger me what the disadvantages of blogging for my business are. It wouldn’t have put me off but it would have saved me time and helped me achieve better results quicker. Even seasoned bloggers stumble from time to time, a great fear can grab you and ask you if you are wasting time marketing your business online. The result of one of these panics was this podcast and a better plan for the future. It’s all been onwards and upwards since. Time is scarce for small business owners and it’s the biggest obstacle in the way of us achieving everything we want to do. It’s a huge disadvantage for bloggers. Blogging is time-consuming, my first post was under 100 words and took me half a day to construct and publish. It wasn’t the writing that took the time but the editing and constant proofreading. Give me half a day of uninterrupted time now and I’d be able to produce 3 blog posts of 1000 words or more. You do get quicker at blogging the more you do it but that doesn’t necessarily help if you don’t have the time now. You may have decided that blogging is for you but have let it slip down your to-do list. My advice is to allocate time now, allocate time every week to write. Plan your posts in advance so you can maximise that assigned time. I’ve seen so many businesses stumble at this first hurdle. If you want to blog on your own website you’ll need to build that site on a platform that allows blogging (WordPress, Joomla, Drupal etc). If your site doesn’t currently support blogging don’t put it off. There are plenty of places that you can blog offsite. My first business blog was launched on Blogger, I didn’t have the budget for a new website at the time so I just started blogging on a platform that I could afford. There are so many free blogging sites available now you have no excuse. You can use WordPress.com, Blogger, Medium, Tumblr, Square Space. You can even blog using LinkedIn posts or Facebook notes. Don’t let the technology get in the way of blogging, just start writing now and worry about the tech later. If you’ve ever visited a blog on a website and noticed it hasn’t been updated for a year, or more you’ll know it looks bad. A dead blog is worse than no blog at all. 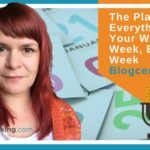 If you are going to blog on your own site or even one of the free blogging platforms it’s crucial that you have a regular posting schedule. Consistency is not only good for keeping your site looking alive but it also ensures you stay dedicated to your blog. At the very minimum, you should be blogging once a month and preferably more frequently than that. If you don’t think you’ll be able to keep to a consistent schedule use LinkedIn posts or Facebook notes instead of your own site. It’s less noticeable when you are infrequent on those platforms. A good, well written and thought out blog, full of useful posts and information is a great brand asset. A poorly written blog, rushed together, with low-quality posts full of typos and spelling errors could be doing more harm than good. 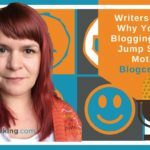 Blogging can’t be something you do in a hurry, you have to put thought into your content and you should always proof read and spell check before you hit publish. I tend to sleep on a blog post before I publish. I always spot something the next day that needs editing. It used to be easier to blog when I started out. There was less content online and fewer bloggers. Now it’s much harder. You’ll find thousands of results for every topic you can think of. The days of the Googlewhack are well and truly over. We are living in the era of what Mark Schaefer calls content shock. Search engine optimisation used to be one of the key advantages of blogging but things have changed. Today I believe blogging is more about building a strong and loyal community around your business. Your customers will get to know and trust you through your content and it’s your social channels in the most part, not the search engines that will help you do that. That’s not to say SEO isn’t important, I’m battling those search results with every post I write, but focus on your audience, not the search engines. People who work in normal jobs find it hard to understand the life of a small business owner. They see us working long hours and weekends and think we must be mad. When they find out that much of that time isn’t spent doing ‘real work’ but marketing online they are often astounded. Look at it from their point of view. If they have a regular job they just have to turn up on time and complete their allocated work. A small business owner has to do the day to day work and market their business, manage their accounts, take phone calls, sell and more. The time you spend marketing may look like wasted time to them but if you plan it well and measure success you know it’s worth it. 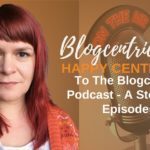 When you start blogging you’ll want to talk about it with your friends, be prepared for the confused looks and blank faces. I’m lucky, I am a solopreneur, I work for myself and I answer to no one but my clients. Not everyone is this lucky. If you work in a larger organisation getting buy-in from the people you work with can be a struggle. Do your homework before you approach your boss. Look at how a blog can benefit your business, find topics that would work well on your site and make forecasts on how you can grow website visitors and how you can channel them into the sales funnel as a result. It can be harder to get employees on board. If you get management buy-in encourage them to lead by example. 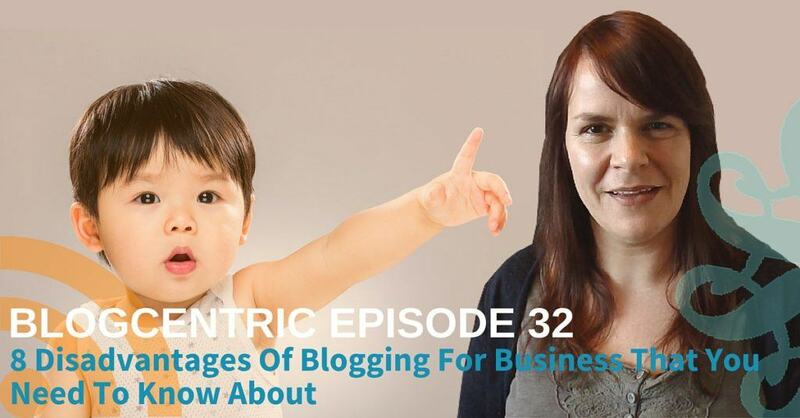 Get them to share their insights in blog posts early on. The employees are more likely to contribute if they see the management doing the same. When people visit your site they will find all the great information you share in blog posts. Your blog is the place where you share your expertise for free but some will want to exploit you further. People will begin to email and even phone you for help and advice. You need to decide how you are going to deal with this. In most cases, I don’t mind when people get in touch. I like to find out what problems people are experiencing, it gives me new topics to blog about. I help whenever I can (within reason). Some of those enquiries turn into prospects and sales, more turn into advocates spreading the word about me and my business. Am I missing anything? 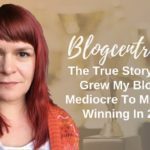 What do you think the biggest disadvantage to blogging is? I’d love to know so leave me a comment below.